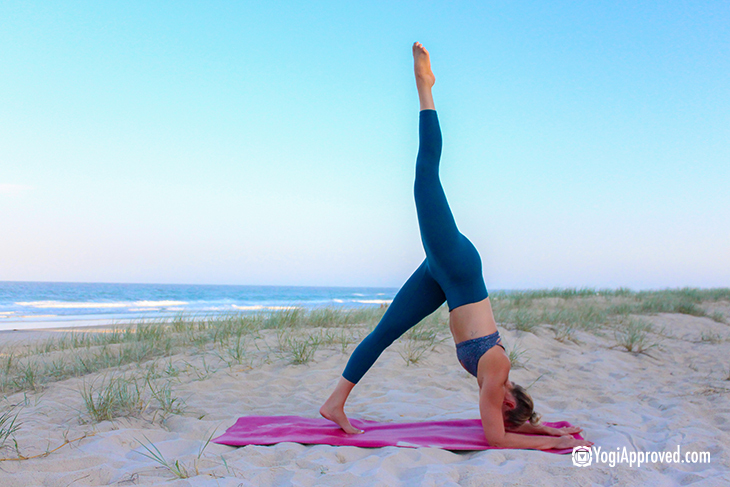 Having a strong core is a beautiful thing, and not just because it makes for Instagram-worthy yoga pics. A strong core helps you maintain support and control of our body in all of your daily activities, from picking up the kids to hitting the gym. These yoga poses for abs will improve core strength, help reduce strain on the spine, and prevent injuries by improving posture and balance. So, even if you have a bit of padding shielding your six-pack abs, it’s still important to build strength in your core from the inside out. 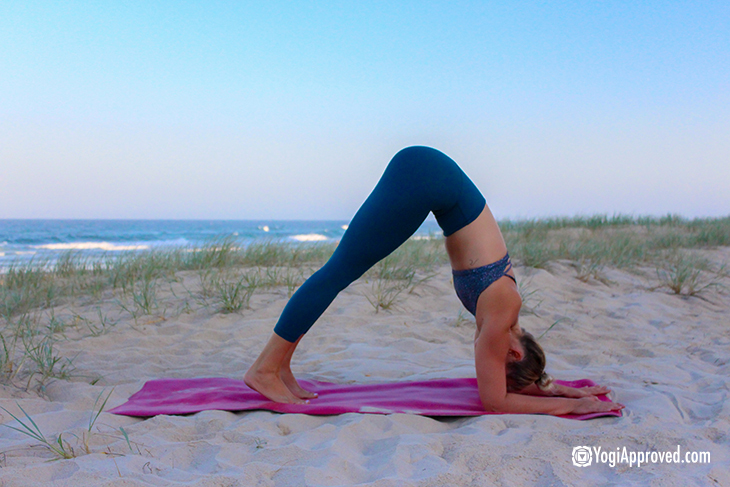 Yoga is the perfect tool to help build that strength! Almost every single yoga pose from standing balance postures to seated twists require (and also build) abdominal strength and stability. In standing yoga postures, such as Triangle Pose, the deepest abdominal muscles, the transversus abdominis are fired up as they stabilize the torso and the spine. When we do several yoga poses in a sequence, we are working the core muscles from every single angle, making them activate and engage with every movement and transition. You don’t have to spend all day at the gym to build a strong core. Instead, incorporate these 10 yoga poses for abs to your practice to get a killer core. 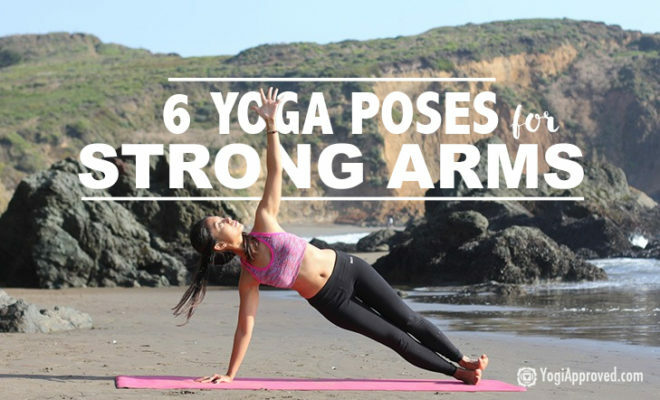 Bonus points if you practice all 10 yoga poses in a dynamic flow! 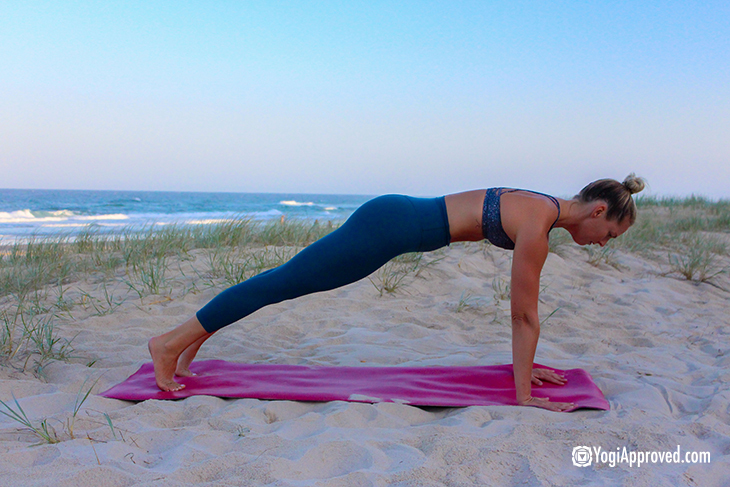 Let’s face it, Plank Pose is one of those yoga poses we all have a love/hate relationship with. This stabilizing core strengthener will activate all the muscles in your core to help hold you still. Dolphin Pose works the abdominals while toning the shoulders and lengthening the spine. Holding Dolphin Pose will engage all muscles in your core, both superficial and deep muscles. Dolphin Pose with a leg lift fires up the front body – the muscles that run from just below your sternum to your waist. This Dolphin variation is one of the best exercises for core conditioning because it engages multiple muscle groups simultaneously. This Side Plank variation will help tone those famous “love handles” or obliques. Your waist will activate as you lift the body, and your abdominals will be working to stabilize the entire body. By lifting the top leg, you will further strengthen your obliques and lower abs. Although you may initially feel this as stretch in your shoulders, arms and chest, Upward Facing Plank Pose also builds core strength while challenging and improving balance. This pose is a great way to counterbalance the motion of sitting at a desk for many hours of the day. In this Plank variation we open up the front body while strengthening the muscles along the spine. This fun variation of traditional Bow and Locust Pose strengthens the muscles that surround the spine. It is a great counterpose to the others that target the front core muscles. Boat pose engages the deep abdominal muscles and tests the strength and stamina of every muscle from your hips to your shoulders. By incorporating the twist you will also fire up the side body – both the internal and external obliques. Triangle Pose is taught in almost every yoga class, however we rarely do the floating variation. By floating the arms overhead we begin to lengthen and strengthen the obliques, abdominals, and back. Looks can be deceiving when it comes to Chair Pose. However, Chair Pose requires a great deal of stability through the core in addition to strength in the legs and flexibility in the shoulder. All of your core muscles will be engaged as you hold the pose and practicing this pose regularly can help improve your posture over time. Although it may most often be thought of as a standing balance pose, Warrior III builds strength and length in all parts of the core. From the front abdomen to the muscles around the spine, you will be engaging your entire core to hold your balance while keeping your body aligned. Remember, in order to have a strong core we must work the muscles that make up the core from every possible angle. And we need to think bigger than just six-pack abs. Yes, the front body (transverse and rectus abdominis) makes up a large portion of our core, but we also need to work the back body, side body, and hip flexors, as well as the thighs and glutes. These 10 yoga poses, when put together as a sequence, allow your body to move naturally while targeting the core muscles. Practicing movements like this, fluidly linking one to the next, is far more effective than doing isolated abdominal exercises. It’s also important not to rush through the sequence. The purpose of this sequence is to move your entire body, with ease, in multiple directions. Remember to work with your breath and allow your body and mind to relax as you move through each of these poses. 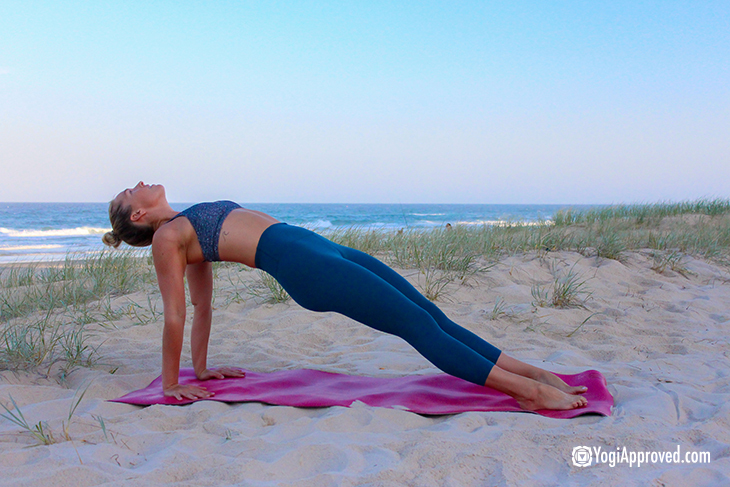 Whether your goal is to be able to get into an arm balance or to have Instagram-worthy abs, these yoga poses for abs will help you build strength through your entire core! These 6 yoga poses will build lean, toned muscle, improve your strength and stability, and build your bone density. Practice today for toned arms tomorrow! Jessie Benson is the founder and creator of FloYo®. Jessie combines her passion for yoga with her love of the outdoors, experience competing in triathlons and intensity of teaching spin classes to create a challenging core workout on a standup paddleboard with her FloYo fitness classes. Jessie is a sponsored SUP racer with Yolo Board and a master trainer for the Academy of Surfing Instructors and leads FloYo Teacher Trainings around the globe.